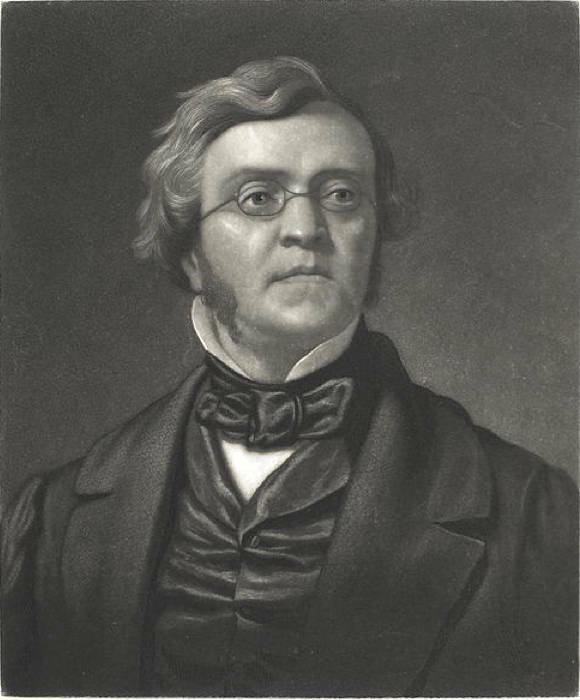 illiam Makepeace Thackeray was born in Calcutta on 18 July 1811. Both his parents were of Anglo-Indian descent, and his father, Richmond Thackeray, was appointed to a lucrative position as Collector of a district near Calcutta soon after William's birth. Richmond Thackeray died of a fever in 1815, and his son was sent home to England at five years old to be educated, stopping at St. Helena on the way and having a servant point out to him the prisoner Napoleon, who "eats three sheep every day, and all the little children he can lay hands on!" (Ray 1.66). The separation from his mother, who stayed in India to marry her childhood sweetheart, was recalled by Thackeray nearly half a century later--"A ghaut, or river-stair, at Calcutta; and a day when, down those steps, to a boat which was in waiting, came two children, whose mothers remained on shore" ( Ray 1.65)--and his reunion with her a few years later informs young Henry Esmond's first vision of Lady Castlewood. Though Thackeray's recollections of his early years in India were scanty, the culture of Anglo-Indians figures prominently in a number of his works, including The Tremendous Adventures of Major Goliah Gahagan, Vanity Fair, and The Newcomes. 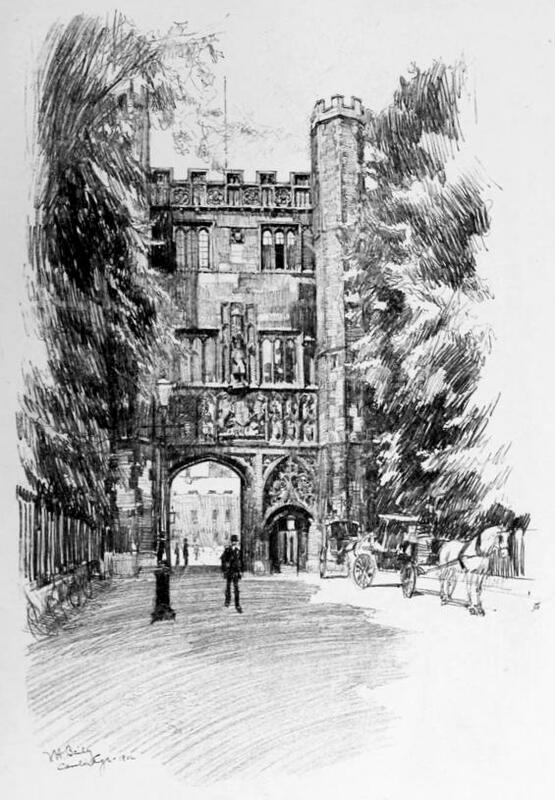 Thackeray was given the "education of a gentleman" at private boarding schools (so-called "public schools"), including six years at Charterhouse, and the canings and other abuses he suffered in these institutions became the basis for remembrances in essays, such as The Roundabout Papers, as well as episodes in novels (Vanity Fair and The Newcomes, again, offer important examples). He also recalled the dryasdust lessons in the classical languages he was forced to learn and their deleterious effect on his feelings for classical literature, along with the grateful escapes he made to the popular fictions of the day, works such as Scott's Heart of Midlothian or Pierce Egan's Life in London. 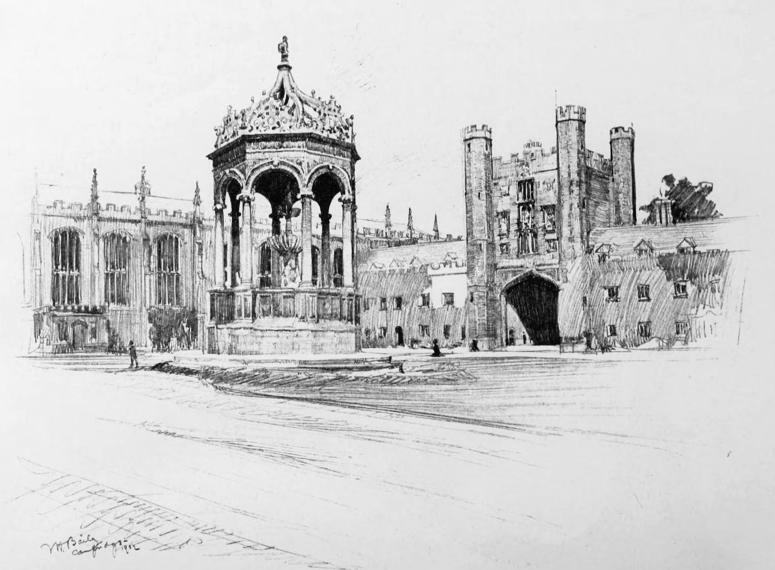 He was not a standout as a student, but he went on to Cambridge, where he entered Trinity College in 1819. His tutor was William Whewell (philosopher of natural science, nowadays of interest for his theory of discovery), but Thackeray saw little of the inaccessible don, preferring to spend his time at wine parties. Thanks to such amusements, his own inability to excel at mathematics, the poor preparation he had received at Charterhouse, and a penchant for gambling and trips to the Continent, Thackeray left the university without a degree after two years. The life of the undergraduate at "Oxbridge" is represented obliquely--for "the life of such boys does not bear telling altogether"--in Pendennis. Thackeray did, however, form friendships at Cambridge that were lasting, the most important of which was with Edward Fitzgerald. And while he failed to distinguish himself at school, he did develop the fondness for Horace and other classical authors his childhood experiences had almost robbed him of. After leaving Cambridge, Thackeray traveled on the Continent, spending a winter at Weimar, which included an introduction to the aged Goethe. Thackeray took away from Weimar a command of the language, a knowledge of German Romantic literature, and an increasing skepticism about religious doctrine. The time he spent here is reflected in the "Pumpernickel" chapters of Vanity Fair. On his return from Germany, Thackeray lived the life of a propertied young gentleman, including more gambling, drinking in taverns, and, undoubtedly, sexual encounters with women. Though just how wild Thackeray's life was at this time remains ambiguous—Ray prints a journal entry in which he is repelled by William Maginn's taste in brothels—he most probably first developed at this time his "stricture of the urethra," a condition which would plague him for the rest of his life and which Monsarrat speculates was a consequence of gonorrhea. 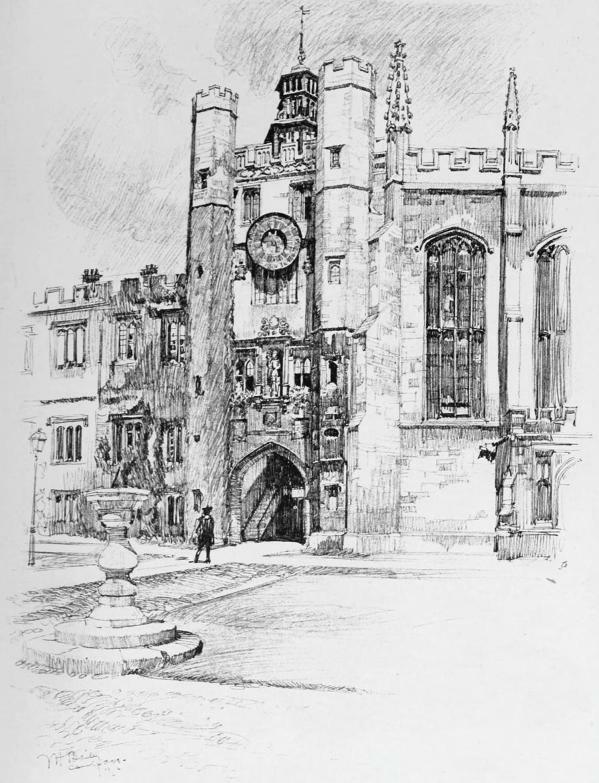 Thackeray's next attempt at finding an occupation led him to the Inns of Court, where he tried briefly to study law and gathered instead more of the atmosphere of "gentlemanly idleness" (Ray 1.149) that was to find its way into Pendennis. Ray next places Thackeray in the shady world of bill-discounters in London, but soon he invested part of his patrimony in a weekly paper, The National Standard, which he took over as editor and proprietor. Though the paper went under quickly, it gave Thackeray his first taste of the world of London journalism, where he was soon to begin a long and haphazard apprenticeship. Thackeray's father had left him an estate of approximately 17,000 pounds, but this fortune was lost, mostly through the failure of an Indian bank, an event from his life that Thackeray once again found use for in The Newcomes. This financial disaster forced Thackeray out of idleness and into serious work as a journalist. After trying out briefly the life of an artist in bohemian London and Paris in 1834 and 1835, Thackeray began to put both pen and pencil to work for such periodicals as Fraser's Magazine, The Morning Chronicle, and, most successfully, Punch. 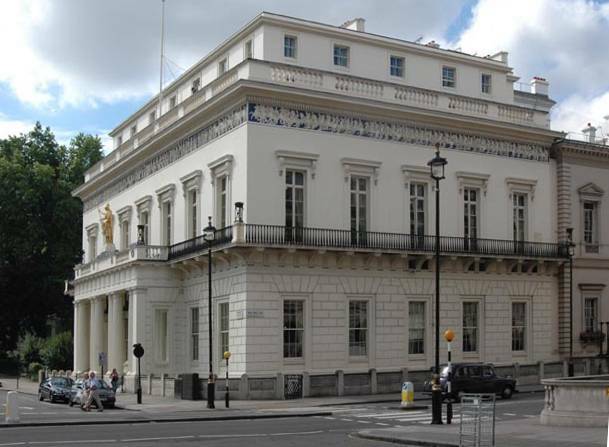 It was in Paris, as well, that he met his wife, Isabella Shawe, and the two settled briefly here when first married (in 1836) before returning to London. Before the success of Vanity Fair, Thackeray worked as a free-lance journalist for about ten years, publishing literary criticism, art criticism, topical articles, and fiction either anonymously or under a number of comic pseudonyms. The Yellowplush Papers (1837-38), Catherine (1839-40), A Shabby Genteel Story (1840), Samuel Titmarsh and the Great Hoggarty Diamond (1841), and Barry Lyndon (1844) all appeared in Fraser's, while The Book of Snobs (1846-7) gave Thackeray his first notoriety when it appeared as The Snobs of England in Punch. During this apprenticeship, Thackeray also produced his first books, collections of essays and observations published as travel books. 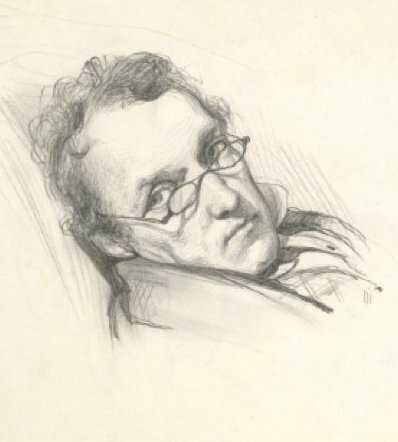 The Paris Sketch Book (1840) sold enough to cover its costs, provide its author with decent payment, and, perhaps most importantly for Thackeray, interest publishers in seeing more of his work. He sold The Irish Sketch Book (1843) to Chapman and Hall, the publishers of Dickens and Carlyle, and also turned a comic series done for Punch about a trip to the East into another book, Notes on a Journey from Cornhill to Grand Cairo (1846). In addition he considered doing a series for Blackwood's on Belgium. This arduous combination of hack writing (often completed in London clubs for the peace and quiet they afforded) and frequent travel took Thackeray away from home quite a bit, and--as he later recognized--kept him from detecting the seriousness of his wife's growing depression. Thackeray and Isabella Shawe had had a happy marriage during their first years of penury. But as financial demands forced Thackeray into more and more work, Isabella was more isolated and lonely. After the birth of her third child (the second had died at six months), she began to withdraw, becoming apathetic and fitful by turns and fighting with her husband's grandmother, "a pestering old body." Thackeray was told by doctors that all Isabella needed was a change of air. When she became suicidal, leaping into the ocean during a trip to see her unsympathetic mother in Ireland (whom her son-in-law later represented as the termagent Mrs. Mackenzie in The Newcomes), Thackeray began a series of futile searches for a cure. He took Isabella to various spas and sanitoriums, at one point undergoing a "water cure" with her, since she wouldn't do it alone. He continued to hope for some time that she would make a full recovery. For the next several years he shuttled back and forth between London and Paris, from the journalism that supported himself and his debt-laden family, to his parents and children in Paris, and to his wife in French asylums. Once Thackeray had established himself as a writer with the moderate success of his travel books, the greater success of his Punch series, and the beginning of a full-fledged novel, he brought his daughters and wife over from the Continent (lodging Isabella not in one of the terrible asylums he toured but with two women in Camberwell). Eventually he resigned himself to Isabella's condition, an indifference to seemingly all around her, including himself and the children, and he maintained his wife in institutions while raising his daughters with the help of his mother, who never was to be satisfied with the governesses Thackeray tried. He seems to have been a loving, if busy, father, as is testified by the touching reminiscences of Anne Thackeray Ritchie's biographical introductions to his works. In 1847-48 he hit the big time with Vanity Fair. The novel had a slow start--the first chapters were rejected by several publishers--but eventually it sold in the neighborhood of 7,000 numbers a month. Just as importantly, it was the talk of the town, and Thackeray finally had a name that gained notice and reviews in journals such as the Edinburgh Review. He also finally found relief from the harrowing grind of writing anything that would sell so he could support his household. Pendennis followed in 1849-50, but it was interrrupted at roughly the midpoint for 3 months by a severe illness which may have been cholera. This novel ran concurrently with David Copperfield, and their dual appearance brought about the first of many comparisons with Dickens, by David Masson in the North British Review (May 1851). Thackeray now felt that he and Dickens were battling for king of the novelists' hill, though he would never equal Dickens's popularity, except with the critics. The novel is a semi-autobiographical bildungsroman that draws on, among other things, Thackeray's disappointments in college, ambivalent relation with his mother, and insider's knowledge of the London publishing world. In 1852, The History of Henry Esmond was published as a 3-volume novel without first being serialized and with special type meant to imitate the appearance of an eighteenth-century book. This was the most carefully planned of Thackeray's novels, and for it he did a considerable amount of historical research. The book was celebrated for its brilliance, and Thackeray recognized it as "the very best I can do. . . my card" (Monsarrat 285), despite the "cutthroat melancholy" he felt it was infused with. At the time, it caused a sensation thanks to its controversial ending, wherein the hero marries a woman who early in the novel seemed a "mother" to him. During these years of success, Thackeray lived virtually a bachelor life in London, even though now he had his daughters and grandmother with him. He spent much time with friends, enlivening the weekly staff dinners for Punch, attending the social functions of a fashionable society hitherto closed to him, and becoming the constant attendant on Jane Brookfield, the wife of an old friend from Cambridge. Thackeray and the Brookfields were involved in an increasingly tense emotional triangle, until his first trip to America in 1852 provided the time and distance for Thackeray to extricate himself emotionally. William Brookfield's coldness and peremptory desire to dominate his wife, her resistance and the accompanying need for someone to turn to, and Thackeray's loneliness and characteristic susceptibility to a fascinating woman combined to create a complicated affair. A curate who was disappointed in his wish for advancement in the Church, Brookfield alternately ignored or forbade his wife's warm communications with the successful novelist. Jane returned Thackeray's ardent expressions of friendship, lamented her husband's inability to understand her, and then surprised her platonic lover by getting pregnant by the husband she supposedly had no sympathy for. Thackeray, for his part, professed for the wife a devotion that was pure and remained a companion of the husband, but nonetheless felt betrayed by Jane's tendency to cool down the correspondence when Brookfield complained. Thackeray eventually caused a dramatic break in these arrangements by berating Brookfield for his neglectful treatment of his wife. The curate packed up his household for a vacation in Madeira, and, by the time Thackeray heard of Jane's second pregnancy, during his own trip to America, he had decided never to return to the vassalage he had endured for seven years. Various aspects of Jane Brookfield appear in Amelia Sedley and Beatrix Castlewood, and the affair itself informs the triangle of Henry Esmond, Rachel, and Lord Castlewood. Thackeray followed in Dickens's footsteps with a lecturing tour of America. A reprise of his tour of the British Isles speaking on The English Humourists, these lectures were profitable for Thackeray and also provided influential--if now exploded--views of both Swift and Sterne. Thackeray saw America through the eyes of friendly hosts, and he was more careful not to offend than Dickens had been, choosing, for instance, not to write a profitable account of his journey. Thackeray was also more tolerant of slavery--he wrote home to his mother that he did not recognize blacks as equals, though he did condemn the institution on moral grounds. Susceptible to criticism from his hosts that the living conditions for English workers were worse than those for slaves, he chose to believe (at least on this first tour) that the whipping of slaves was rare and that families were not normally separated on the auction block. Thackeray made enduring friendships during his trip, most significantly with the Baxter family of New York. The eldest daughter, Sally, enchanted the novelist--as a number of vibrant, intelligent, beautiful young women had done before her--and she became the model for Ethel Newcome. He visited her on his second tour of the States when she was married to a South Carolina gentleman, and he lamented her sad life when she sat alone in Charleston, dying of tuberculosis, after the outbreak of the Civil War. The panoramic novel The Newcomes (1853-55)--one of the books Henry James called "loose, baggy monsters"--brought Thackeray back to both novel-writing (after more than a year off) and his own century, as well as to the social satire of Vanity Fair. The main targets of this novel are snobbery and mercenary marriages. He also brought out in 1855 his most enduring Christmas book, the fairy tale The Rose and the Ring, which he called a "Fireside Pantomime." After a second profitable lecturing tour on The Four Georges (that is, the Hanoverian kings of the eighteenth- and early nineteenth-centuries), Thackeray stood for Parliament as an independent and was defeated when a well-known politician was substituted for the man he thought he was to run against. Thackeray believed his advocacy of entertainment on the Sabbath was also crucial in his defeat. In 1857-59, he published The Virginians, a novel set before and during the American Revolution, which is a sequel to Henry Esmond, and which Thackeray intended as a fond tribute to the country where he made a number of friends--though he inadvertently angered some particularly patriotic Americans with his mild but not-especially-heroic portrait of George Washington. The novel is noteworthy for the problems Thackeray had with the plot, its action being repeatedly forstalled by narrative intrusions, and the Revolutionary War being postponed till the book is almost over. In place of the action are Thackeray's philosophical meditations on the staleness of novel plots--in effect, a radical questioning of the value of fiction--and other problems of representation. Of the several literary quarrels in which Thackeray had engaged during his life, the "Garrick Club affair" was to be the best known, for though he and Dickens had scuffled over the "Dignity of Literature" and other minor disagreements (often exacerbated by the interference of John Forster), this fight caused a breach in their friendship that almost lasted to the end of Thackeray's life--it was healed only in his last months, through a surprise meeting and handshake on the steps of a London club. Thackeray had taken offense at some personal remarks in a column by Edmund Yates and demanded an apology, eventually taking the affair to the Garrick Club committee. Already upset with Thackeray for an indiscreet remark about his affair with Ellen Ternan, Dickens championed Yates, helping him to write letters both to Thackeray and, in his defense, to the club's committee. Despite Dickens's intervention, Yates eventually lost the vote of the Club's members, but the quarrel was stretched out through journal articles and pamphlets. "What pains me most," Thackeray was to tell Charles Kingsley, "is that Dickens should have been his adviser, and next that I should have had to lay a heavy hand on a young man who, I take it, has been cruelly punished by the issue of the affair, and I believe is hardly aware of the nature of his own offence, and doesn't even now understand that a gentleman should resent the monstrous insult which he volunteered" (Monsarrat 393). In 1860, Thackeray accepted the editorship of a new magazine to be published by George Smith, and he was both astounded and delighted with the money he was offered for his name and labors. The Cornhill began its history with a record circulation and a number of distinguished contributors, several of whom were persuaded to contribute by Thackeray's participation. Never completely comfortable with editorial duties, however, he resigned after a tenure of approximately two years. "Thorns in the Cushion," one of The Roundabout Papers--a series of conversational essays modelled after his own favorites, Montaigne and Howell--humorously details the pains he felt in rejecting manuscripts and receiving criticism of the magazine. He also published his last complete novel, The Adventures of Philip (1861-62) in the magazine, and the incomplete Denis Duval (1864) appeared there after his death. Toward the end of his life, Thackeray was proud that through his writing he had recouped the patrimony lost to bank failures and gambling, and that he passed on to his daughters an inheritance sufficient for their support and a grand house in Kensington he had built during his Cornhill years. He had also taken pride in his daughter Anne's first steps in her own career as a writer--her novel The Story of Elizabeth had appeared in the Cornhill. His health had been declining for some years--he had had recurring pain from the stricture — but he died suddenly from the bursting of a blood vessel in the brain on December 24, 1863. He was buried in Kensal Green Cemetary on December 30, with an estimated two thousand mourners paying their respects. Peters, Catherine. Thackeray's Universe: Shifting Worlds of Imagination and Reality. New York: Oxford UP, 1987. Monsarrat, Ann. An Uneasy Victorian: Thackeray the Man. New York: Dodd, Mead, 1980. Ray, Gordon N. Thackeray. 2 volumes. New York: McGraw-Hill, 1955, 1958. Ritchie, Anne Thackeray. "Introductions" to the Biographical Edition of the Works of William Makepeace Thackeray. New York: Harpers, 1899.